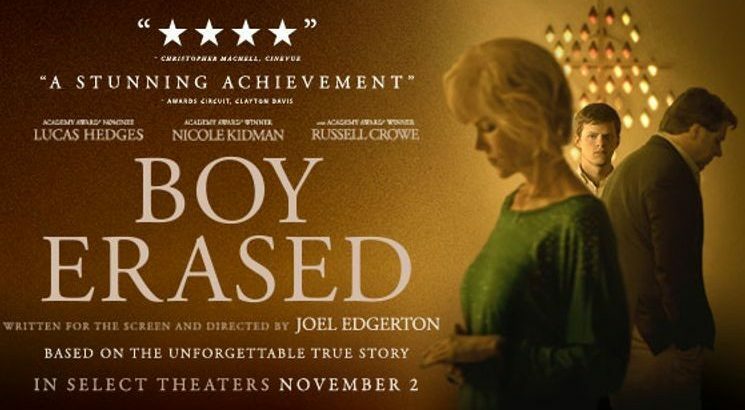 After reviewing Beautiful Boy, Boy Erased seems to follow as another dose of a dysphoric mood. They are films of similar tones, based on memoirs, iterations of the same loneliness growing up and the tremendous struggle of an unfamiliar new world. 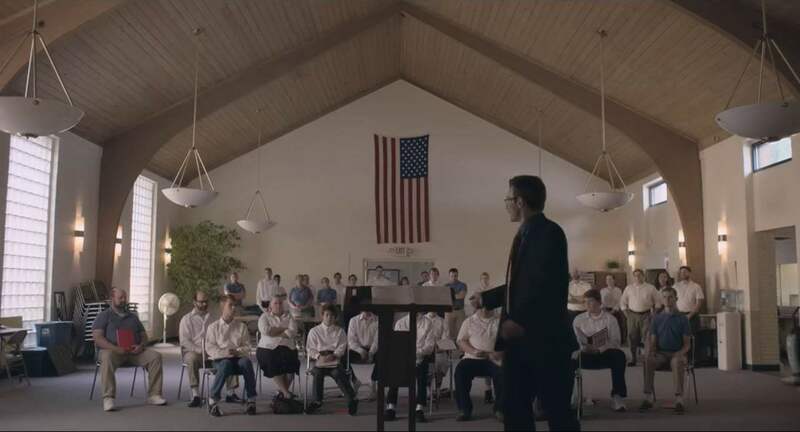 The films are similarly understated in many ways, often slow and cyclic, but Boy Erased properly gives us significance where it is needed, emotion where it is craved, and a genuineness that is never lost. An impressionable Jared Eamons (Lucas Hedges) only wants to reconcile his faith and his sexuality, to live in his realm of familiar things despite a lingering discomfort that’s been tucked away. He’s a basketball player, he has a cheerleader girlfriend, works part-time at a car dealership, on his way to college — and now far away from his old life, he begins to occupy another significant space, another world that becomes more corporeal as time passes. But nothing is certain, and when Jared is unwillingly outed to his parents, he still has an earnest conviction that he is able to shed this sin. He dutifully agrees when his father (Russell Crowe), along with with other higher ministers of church, suggest that he participates in Love in Action, a gay conversion program. The Miseducation of Cameron Post is a film similar in topic, where the titular character Cameron is characterized by her rebelliousness, skepticism, and an overall faith in herself during her time at conversion camp. But here we differ in that Jared is compliant and eager to please, if not to change. He is a good son, one who sits expressionlessly supportive of his father’s ordainment as a Baptist minister and his vows to eliminate homosexuality. After his first day at Love in Action, he tells his mother he’s excited for the things to come — maybe even believing this sentiment himself. Boy Erased’s importance comes from Jared’s delicate uncertainty and the fragility of his worlds. His parents are conservative and misinformed, but do ultimately care for him. He believes in his faith, but has a doubt that he cannot shake. The film presents itself in a fairly reserved manner, not explicit in the way it condemns the program staff or his parents. But slowly, we grow to see the way Love in Action is sinisterly manipulative, emotionally taxing, built on the basis of a poorly worded handbook — the same time that Jared also begins to realize the flawed chassis of its goals and who he is. We go back in time to understand the things written on Jared’s “moral inventory” of past behaviour. In flashbacks, we see that sometimes, he was thrown into a violent confrontation with his sexuality, dangerous and non-consensual, with the collateral aftermath of shame. And other times, it was gentle, soft moments of clarity that changes the way Jared connects his two realms of being at his own pace. The way he consolidates his worth is slow, highlighted by painful moments of realization during his time at Love in Action and, in retrospect, outside of it. The film climaxes after the abuse of one of the kids at Love in Action, when Jared is called upon to perform an exercise of confessing his sins and channeling his anger, the upsurge resulting from Jared’s gradual development into certainty in his own skin. This resolution is foreshadowed when Jared’s mother, Nancy (Nicole Kidman), tells him the first time she drops him off to call her if he ever needed to. And above her husband, above rule, above God, his mother rushes to Love in Action, puts program leader, Victor Sykes, in his place, and drives off with her son when Jared tearfully calls her. In a very beautiful moment, his mother gives him her love and support as foremost, above all. Boy Erased is not without its flaws. The secondary characters lacked development; from the astute Gary to the solemn Sarah, we seldom saw more of their inner world, our cinematic gaze fixated on Jared. Even for Jared himself, things were kept subtle, difficult to decipher his exact thoughts —although it often seemed like he didn’t quite know either, filled with conflicting ideas and doubts, a mess of diverging ideals pooling together that clarifies with his growth. Despite its tonal softness, Boy Erased finishes on high hopes, carried by the relationship between Jared and his family as well as the terrific job done by the cast, giving just enough to avoid falling flat.